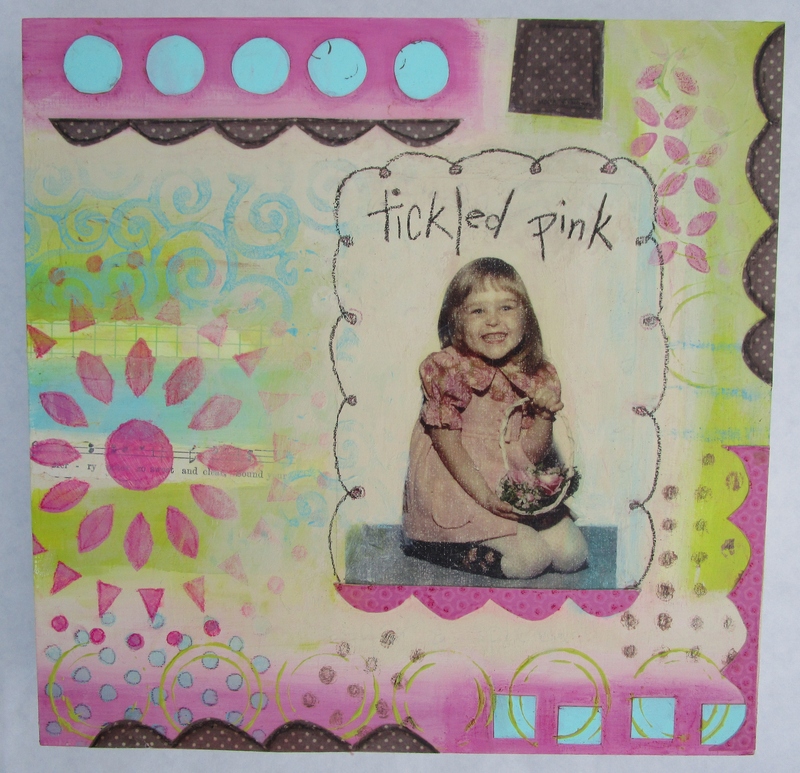 This past winter I discovered the wonderful world of online art workshops. It was a bit scary to delve into a new realm, but the workshop I signed up for had already taken place, so I had access to all the class content right away, and didn’t feel any pressure to share my work or interact with other students. It was great. Seriously, when it’s -34* C in Minnesota, who wouldn’t want to watch art videos and work in a sketchbook? 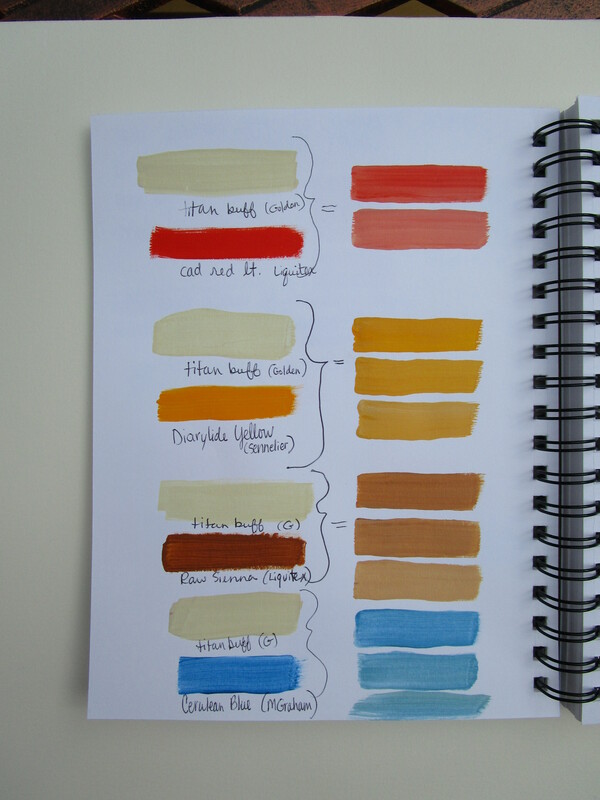 This summer, however, I resolved to take a more challenging workshop in real time, and signed up for “Color, Pattern, Paint” through Sarah Ahearn Bellemare’s website. It has been so much fun. Sarah is a splendid teacher, and communicating with other artists has been both inspiring and educational. 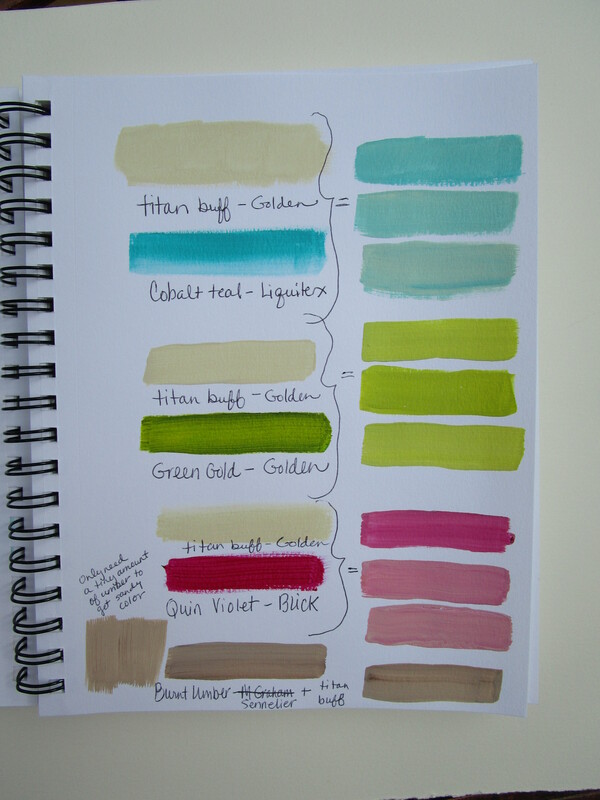 One of the first assignments was to create color palettes for our subsequent projects. Below you can see what I came up with. 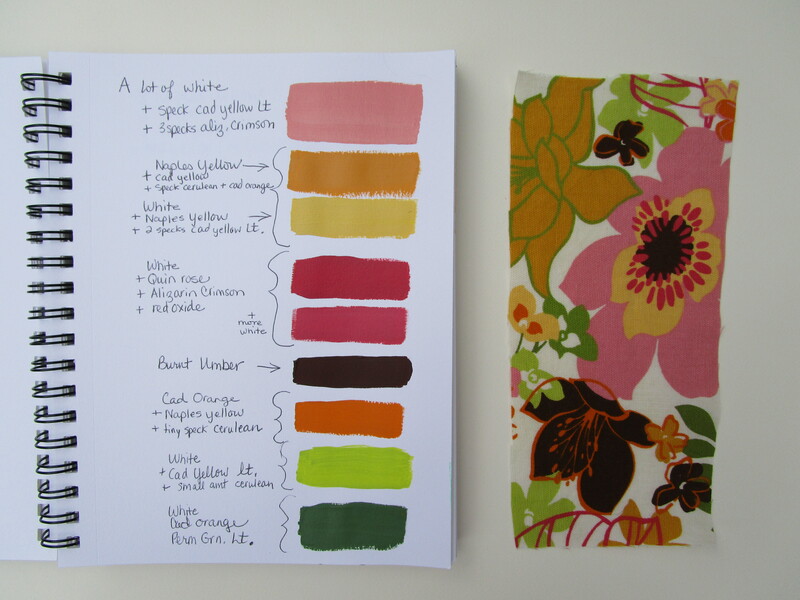 My experiment in color mixing to match a fabric swatch was particularly enjoyable and beneficial. 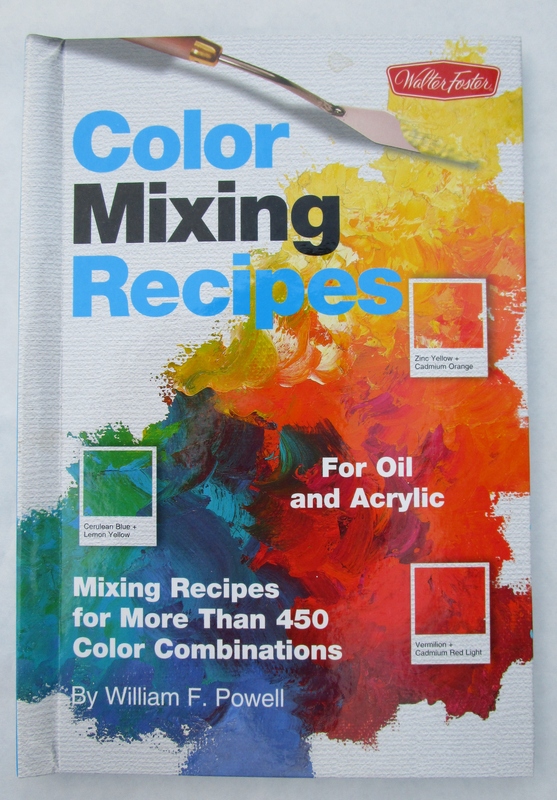 I gained confidence in color mixing, but don’t think I’m quite ready to give up the handy reference book! 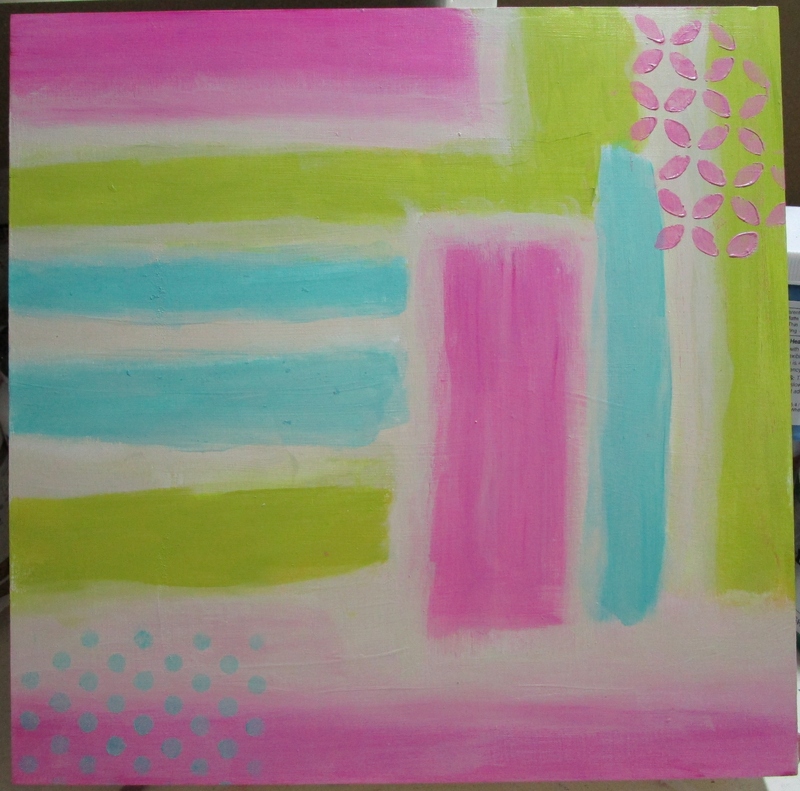 After this initial assignment, I began a practice piece, which would use the first palette and incorporate a contact-paper image transfer as the subject matter. Here are a couple of process photos, as well as the “almost-finished” piece. 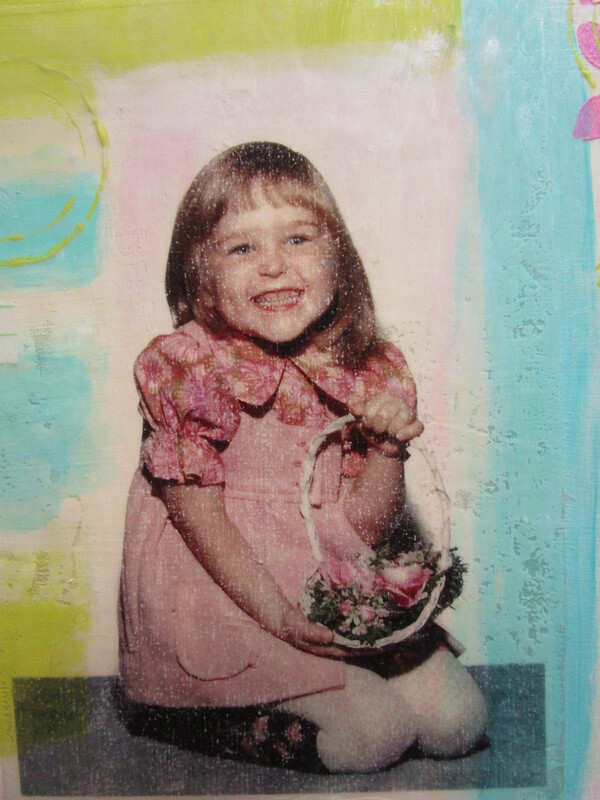 The little girl in the photo is me at four years old. I was, indeed, tickled pink that day because I got to wear my sister’s black boots with embroidered flowers! That’s all for today. I’m excited to share additional work from this class in future posts.